Brent Stockstill was standing on the sideline as he watched his defense take the field. His offense was fresh off of a turnover on downs with only 1:27 left in the game and with UAB up by two points in the biggest game of his life and in the biggest game of his teammates’ lives. The Blue Raider defense still had one final chance to give Stockstill the ball, considering they had all three of their timeouts remaining. There was still one more opportunity for Stockstill to embark on a legacy-defining, championship drive. 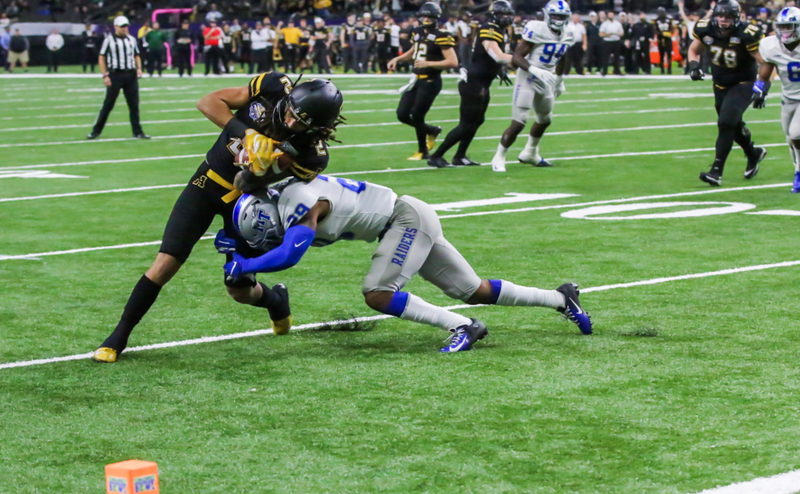 People would remember his team and the late-game heroics that brought the school it’s first C-USA championship since it joined the conference in 2013, but only if the defense can give them that last chance. “Do your job. Keep on going, and keep your head,” safety Reed Blankenship told his teammates. The defense did what it needed to do as UAB running back and game MVP Spencer Brown was stopped two yards short of the first down marker. 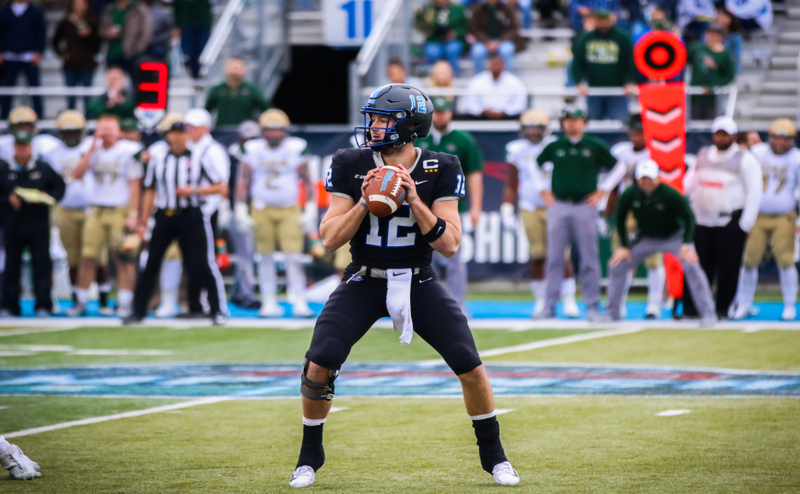 It was time for UAB to give Stockstill and the Blue Raiders the ball back with about a minute left and give them that legacy-defining drive that every quarterback and every player dreams of. That opportunity never came, and MTSU will forever live with the painful thoughts of “what if”. The Blue Raiders had 12 men on the field and were flagged for an illegal substitution. UAB was granted five penalty yards as a result, which is three more yards than the Blazers needed to convert the first down. With a minute remaining and no timeouts to spare, MTSU was done. The game was over, and UAB avenged their loss from a week prior to become the champions of C-USA. Blankenship and Stockstill were joined by grad transfer wide receiver Gatlin Casey (who caught seven passes for 37 yards) and Zack Dobson (whose speed and agility allowed him to score a 46-yard touchdown early in the second half to creep MTSU back into contention) at the somber postgame press conference. As expected, none of them said a word before the press conference, except for Dobson, who could be heard mumbling the sorrowful phrase of “I’m sick to my stomach, bro”. Head coach Rick Stockstill entered the room with tears in his eyes and constantly fought back tears throughout the 14-minute press conference. In what felt like a scene from the movie “Friday Night Lights”, Athletic Director Chris Massaro tossed his credential down on the table three rows back in the press conference room inside the Blue Raider Hall of Fame and slouched in his chair in a dejected manner that was indicative of the state of the Middle Tennessee State football program. The players had their heads down, the room was quiet and everyone in that room knew they let a conference championship slip away. The penalty, as silly as it is to get flagged for having too many men on the field on the biggest play of your season, was not the sole reason the Blue Raiders won’t get recognized as the 2018 C-USA Champions. What killed them was their red zone offensive futility and their inability to capitalize on those red zone opportunities. Settling for field goals was not enough to beat a tough UAB team. 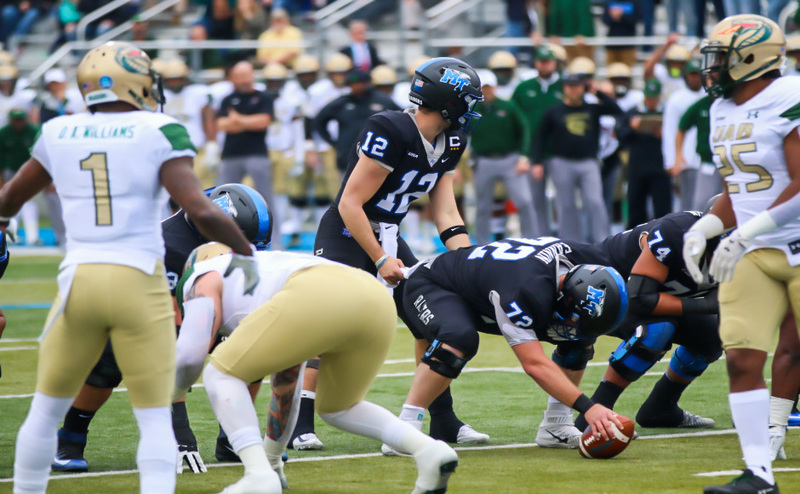 When UAB carried a 24-16 lead to the locker room, MTSU’s defense made adjustments and executed the gameplan in spectacular fashion. 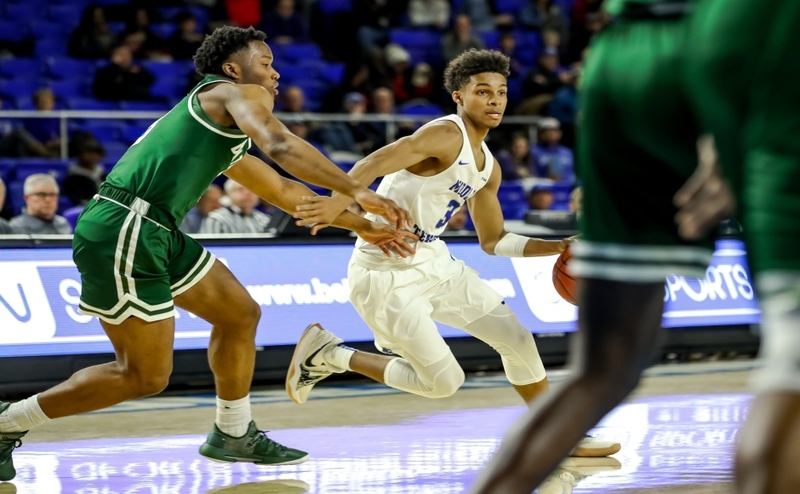 Brown was limited after running all over the Blue Raiders in the first half, and UAB was only able to muster three points on the board in the second half. MTSU’s offense was clicking in the second half as well, until they got deep in UAB territory. 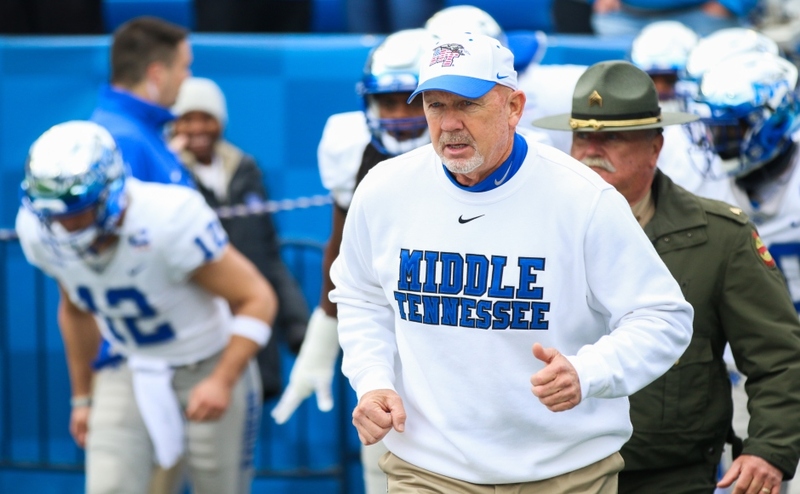 The only touchdown that the Blue Raiders were able to score was the previously referenced 46-yard run by Dobson that came from a Stockstill shovel pass. The Blue Raiders won the box score. They out-gained UAB 456-365 in total yards one week after holding this same team to 89 total yards just one week earlier. They averaged more yards per play on offense. Brent Stockstill threw for 362 yards and two key touchdowns, but it was not enough. Just one week after dismantling this UAB team, they watched them celebrate a conference championship at the 50-yardline of their own stadium. Stockstill said after the game it was the toughest loss of his career, and it isn’t a stretch to claim that other players and coaches on that team feel the same way. Worst of all, all anyone will remember of that game is the boneheaded illegal substitution penalty. Dobson’s athletic 46-yard touchdown, the Wesley Bush interception early in the second half to swing momentum back the Blue Raiders’ way, the timely defensive stop on third and short to force a punt with a minute left all means nothing because they failed to perform one of the most basic elements of a play in all of football: correctly line up 11 players on the field. While that wasn’t the reason they lost, the lasting image of the penalty flags being thrown and the jubilation on the UAB bench will forever haunt this program when looking back on an excellent 2018 season. Losses like that are tough to bounce back from, especially when it’s for a conference championship.